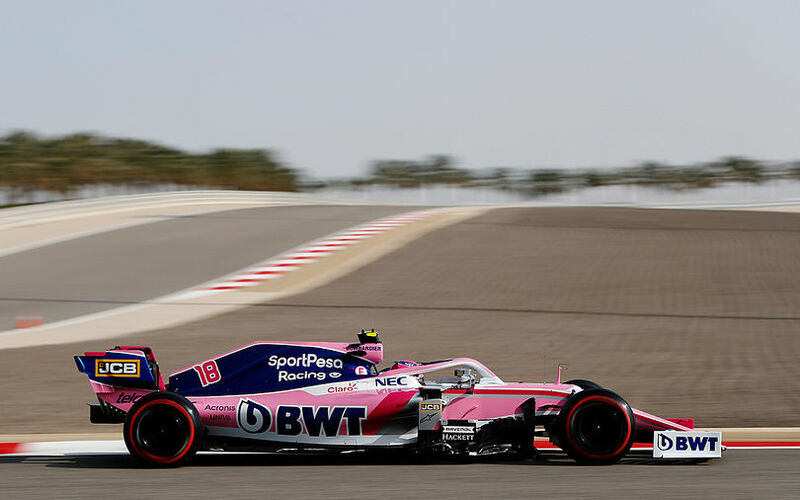 During the qualifying session for the 2019 Gulf Air Bahrain Grand Prix, Charles Leclerc claimed his first ever F1 pole position, becoming the second youngest pole-sitter at 21 years and 166 days old. The record is still held by his teammate Sebastian Vettel, having been 21 years and 72 days old when he went fastest in the qualifying session for the 2008 Italian Grand Prix. Leclerc is the 99th different driver in history to claim a pole position. That came in the 999th race weekend of the sport. For Ferrari, Leclerc is the 33rd and youngest driver to take a pole position. Jacky Ickx was the previous record-holder, the Belgian was 23 years old when he took pole during the 1968 German Grand Prix for the Scuderia. Following a dismal start to the season, Ferrari bounced back in the qualifying session for the Bahrain Grand Prix. The Prancing Horse has been competitive from the word go, topping all three practice sessions before setting the fastest time in all three segments of yesterday’s qualifying. The difference to the competition was ominous at first, but Mercedes managed to close in on its rivals in the dying minutes of the session when they also turned up their power unit to the absolute maximum. In the end, the best non-Ferrari driver, Lewis Hamilton was 0.324 slower than the pole-setting Leclerc. Ferrari gained the most in the topspeed-dominated first sector. Ferrari has been the dominating force in the second and third sector until the final qualifying segment when Mercedes unleashed the last drop of performance of their power unit. According to the GPS data, Ferrari gained the most on the straights while Mercedes had the upper hand in the slow, 90-degree corners. Interestingly, Ferrari surprised everyone with its top speeds all through this weekend. As spotted in Australia a fortnight ago, Ferrari was down the order of the topspeeds in Melbourne which was surprising because the Italian outfit’s 2018 car was the field-leading machine in terms of efficiency, topspeed. Many suggested that Ferrari’s sudden and shocking lack of speed during the first Grand Prix of the year was partly down to its power units which had to be run in a safe engine mode. The theory could be true as Ferrari topped three of the four speed traps during yesterday's qualifying. Sebastian Vettel recorded the highest speed while it was Charles Leclerc who set the benchmark on the borderline between the first and second sector and then between the second the third sector. On the finish line, Lando Norris recorded the highest speed, but the Ferrari-powered Alfa Romeo of Kimi Räikkönen was the second on the list. Romain Grosjean was handed a three-place grid drop for impeeding Lando Norris on his hot lap. The incident occurred at Turn 14 during the first segment of the qualifying segment. The Frenchman was about to start his flying lap while Norras was approached the second-to-last corner on his first push lap. The incident had no effect on Norris’ qualifying result, but it was deemed dangerous because of the speed differential of 136 km/h. Grosjean was also handed one point penalty on his Super Licence for the incident and will start today’s race from the eleventh place. Sebastian Vettel escaped a penalty after being investigated for driving too slowly on an in-lap during qualifying. The German was summoned to the stewards at 21.15 local time yesterday to review an incident which happened during Q1. The quadruple world champion failed to stay below the maximum time between the two safety car lines, but he claimed that the problem was caused by a lock-up on his second flying lap during the first qualifying segment which saw his car producing „severe vibrations”, forcing him to decrease his speed on his way back to the pits. The sport’s sole tyre manufacturer Pirelli recommends a one-stop strategy for the race, but the company’s Head of F1 and Car Racing, Mario Isola said that „a number of different strategies are viable options for the race – with all three compounds”. 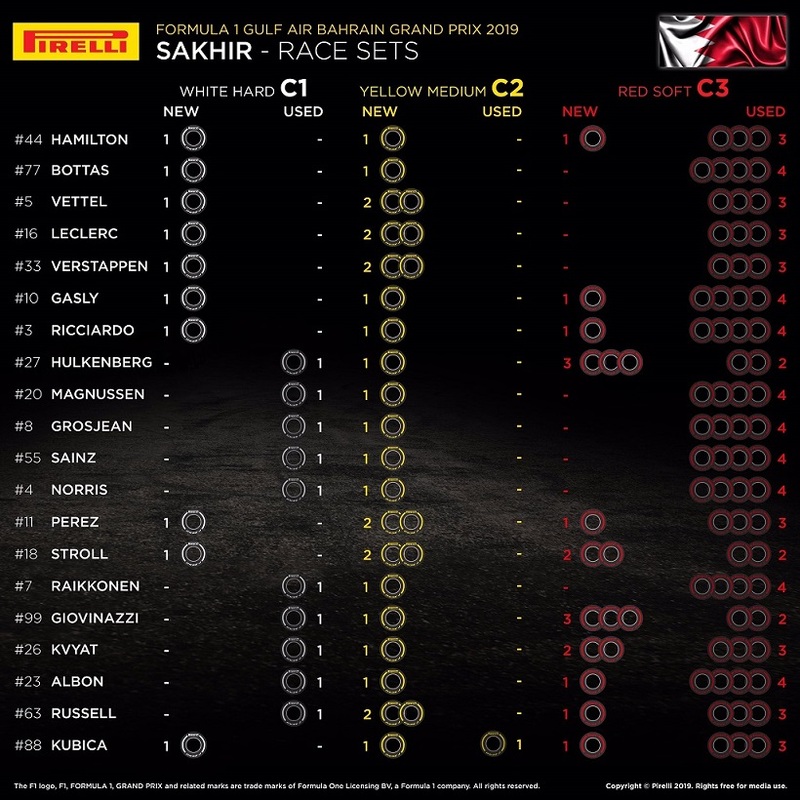 According to Pirelli, the best way to compete the 57-long Gulf Air Bahrain Grand Prix is to start on the C2 medium compound, before switching to the C1 hard rubber. However, as drivers inside the top 10 have to start on the compound which they qualified during Q2, no one will be able to follow that recommendation. It then leaves the remaining ten drivers outside the first five rows of the grid to take the C2-C1 one-stop strategy into consideration. For the top-drivers, a possible scenario is the two-stop strategy following relatively high wear experienced on the long runs during Friday practices. After starting the race on the used C3 compound, they can use the more durable, but ’grippy’ C2.